Greetings to You! From heart to heart in this moment we speak, I am KejRaj(KayRy). The information expressed here is that of my perspective, my point of view. For all truth awaits you in your heart. Tune in to the light within you. A higher light wave has reached the shore yet again. The coming eclipse will usher a new wave of lightlove, a feeling of bliss, and perhaps a bit of unsettling feelings to those still waking up. With this eclipse we will begin to see the exposure of the former rulers’ larger secrets and crimes. The time has arrived for the light uncover all that has been hidden for so long. The light truly is shining on Earth brighter than ever, and with each second that goes by this light is increasing and permeating every cell of every body on this beautiful planet, including the planet herself. Yes, Mother Earth too has begun activating her codes with the new light coming in, and she too has begun the process of healing her physical body. All though the ‘major shake ups’ will not begin ’til around 2020. The Galactics are fully prepared in case mass evacuation becomes necessary during that time. But no concerns for any of that now, for in this imminence there are other uplifting events ready to unfold for us all and YOU will be playing a major role. We have a feeling that we’ll get a ‘yeah yeah we’ve heard all this before’. All is the same. No it is not. Just because we have yet to see NESARA and the Global Currency Reset manifest in our reality does not mean no thing has changed. This does not mean that things are not moving forward, because they are and fast. There are no more preparations or changes that need to be made concerning NESARA and the GCR. All that remains to be taken care of are the few Cabal shadows. This issue too is being resolved swiftly, they are being captured and some eliminated through their own traps they have set. Even though it may appear as if they are in control, they are not. For if they were, you would not have hand grenades going off, you would have nuclear bombs going off. Their iron fist is melting. Every minute they are losing more of their power. They are using a few of their puppets to try and keep their agenda alive, but it is dead and over with. They have failed. You will very soon notice this in the outer world as well. 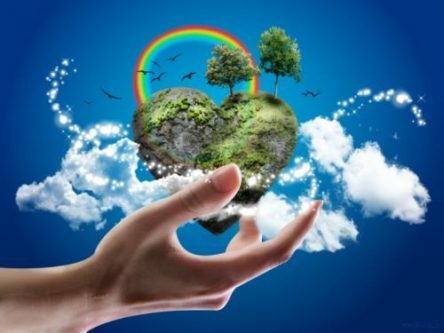 You will understand that this world is no longer in the grip of the iron fist, now it is changing and it is being lead by hearts filled with light and love in service to Earth and humanity. Yes, all of the things you were told about and promised that they would come to fruition soon, have taken a whole lot longer than they were supposed to, but very soon we will find out for certain that the wait was well worth it. Hold your light steadfast for the storm is almost over. This entry was posted in Uncategorized and tagged eclipse ushers a new wave of lovelight, exposure of rulers secrets and crimes, KejRai, light uncovers, love, storm is almost over, truth awaits in your heart. Bookmark the permalink.